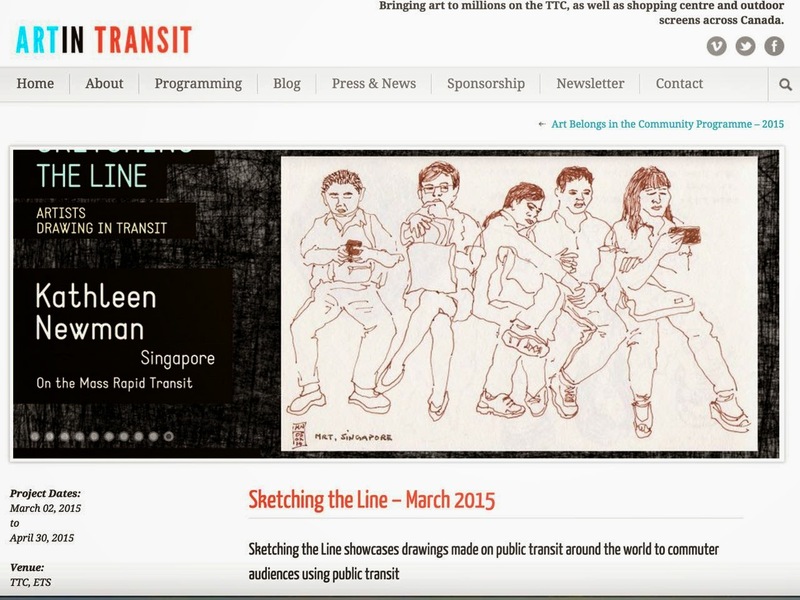 I was recently one of 10 artists selected to participate in Sketching the Line 2015 (a showcase of drawings made on public transit around the world). 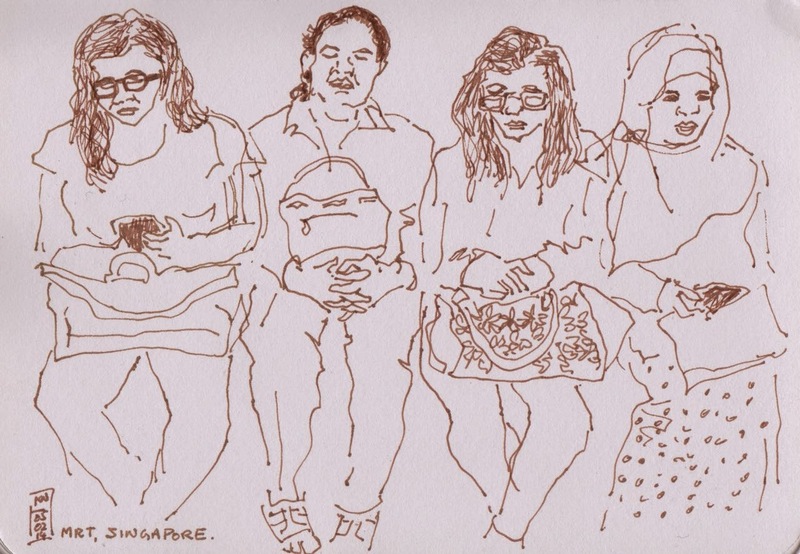 50 artists from 16 countries submitted work for consideration. 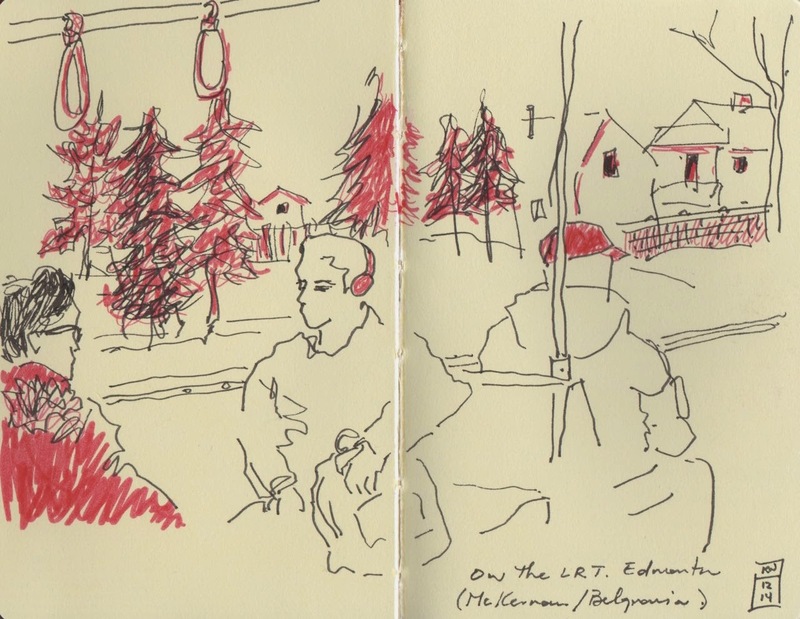 Each artist chosen had 6 sketches selected and they are being shown on screens at train stations in Toronto and Edmonton until the end of April 2015. 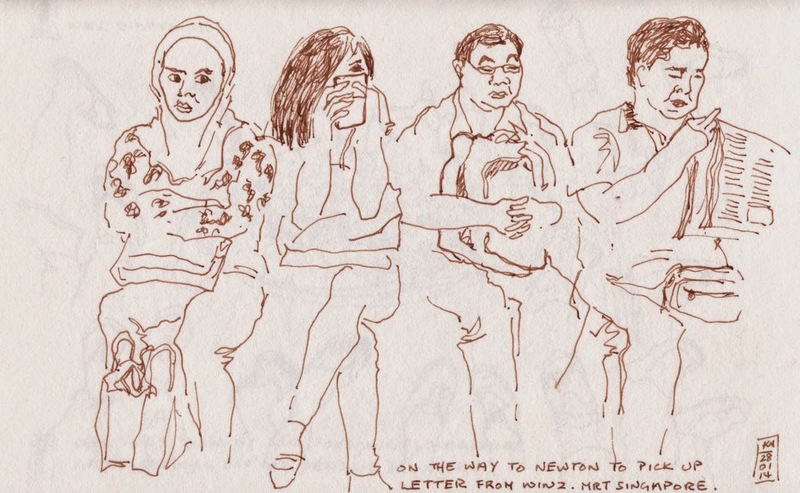 It takes a bit to overcome the discomfort of sketching people on a train. 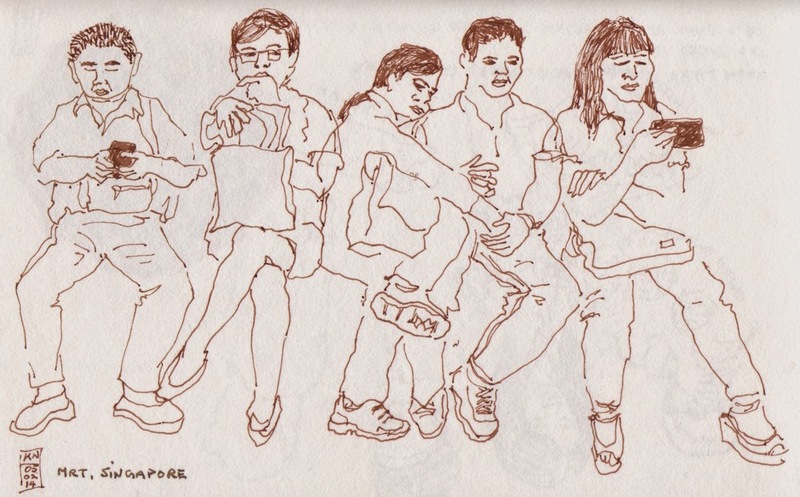 I started doing this in Singapore much to the discomfort of my spouse when he was with me. 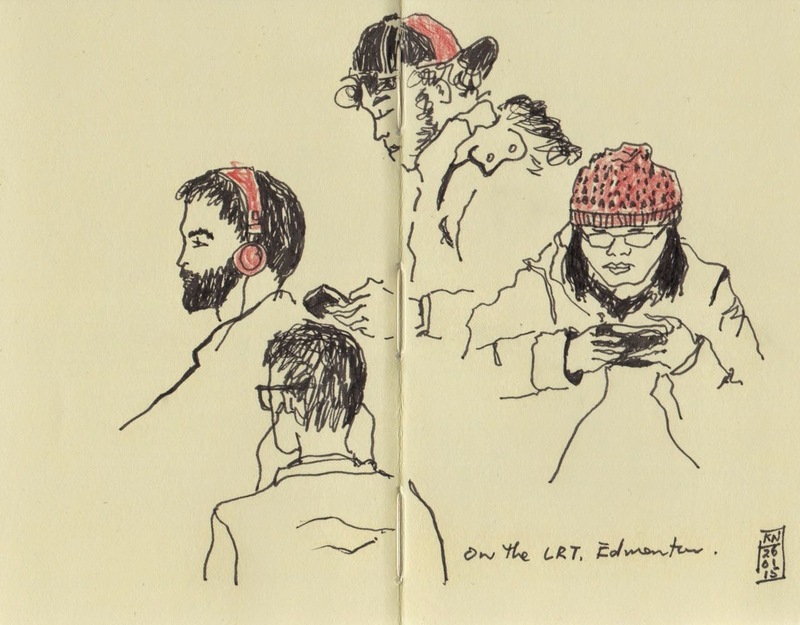 On one occasion a man sitting next to me got quite engrossed in what I was doing and got anxious when I was having trouble capturing a passenger who kept moving. 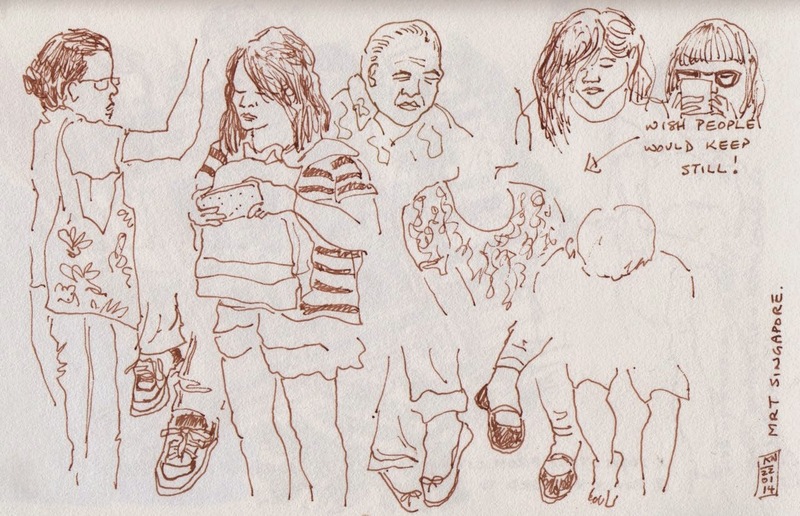 He was quite relieved when I finished just in time before the passenger left the train. When he left, he shook my hand. 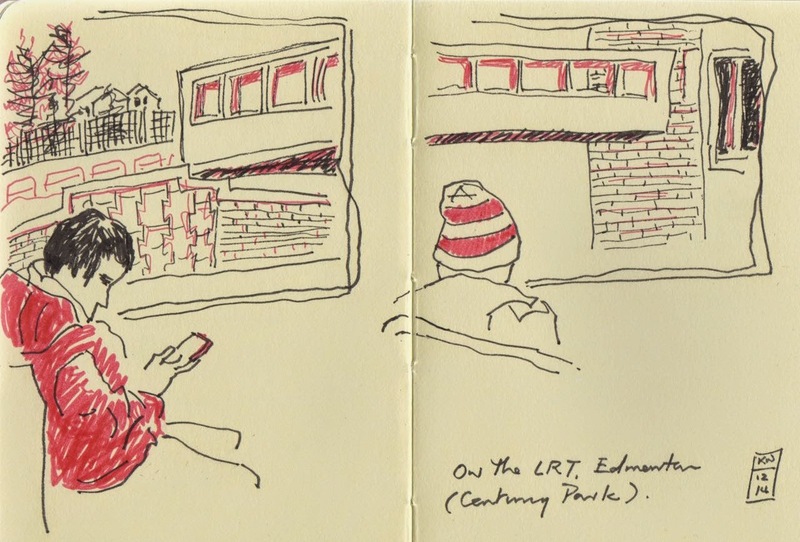 I had a longish commute which gave me about 30 minutes of a relatively empty train before more passengers got on and blocked my view. 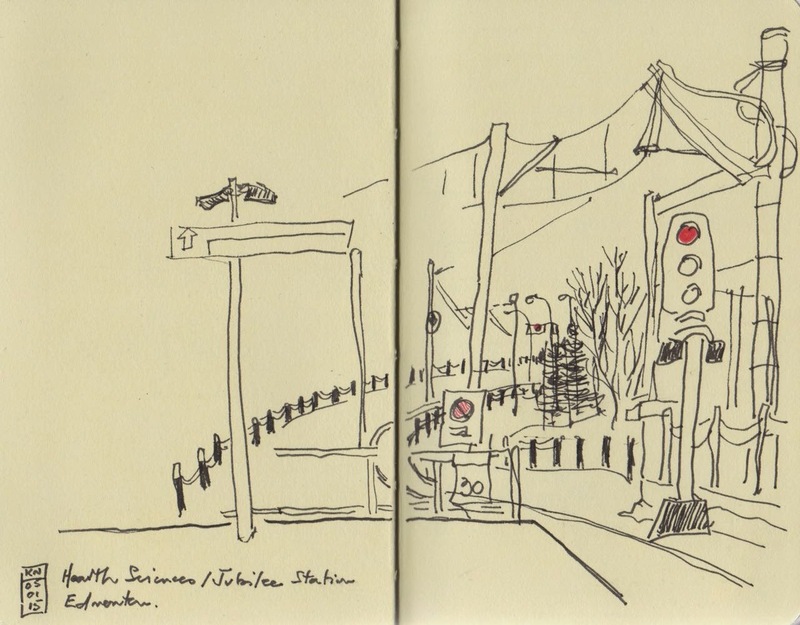 These ones were done on my short 16 minute commutes between Century Park and McKernan. 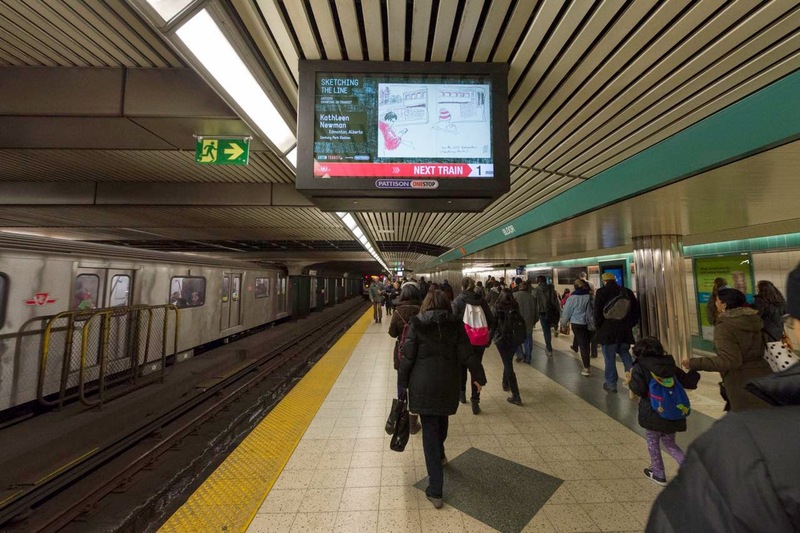 Here is one shown on a train platform in Toronto. And a couple more I particularly like.